Tančící Dům (Dancing House), Prague. 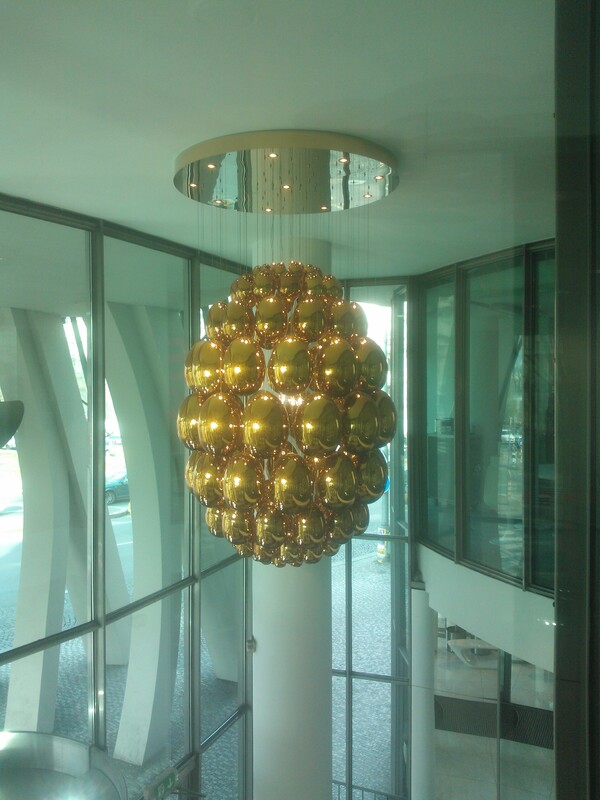 This entry was posted in Life/Photography and tagged Art, Artistic, Ceiling, Chandelier, Creative, Czech Republic, Dancing Building, Design, Jeff Koons, Koonsian, Koonsian Chandelier, Lighting, Prague, shiny, Tancic Dum. Bookmark the permalink. 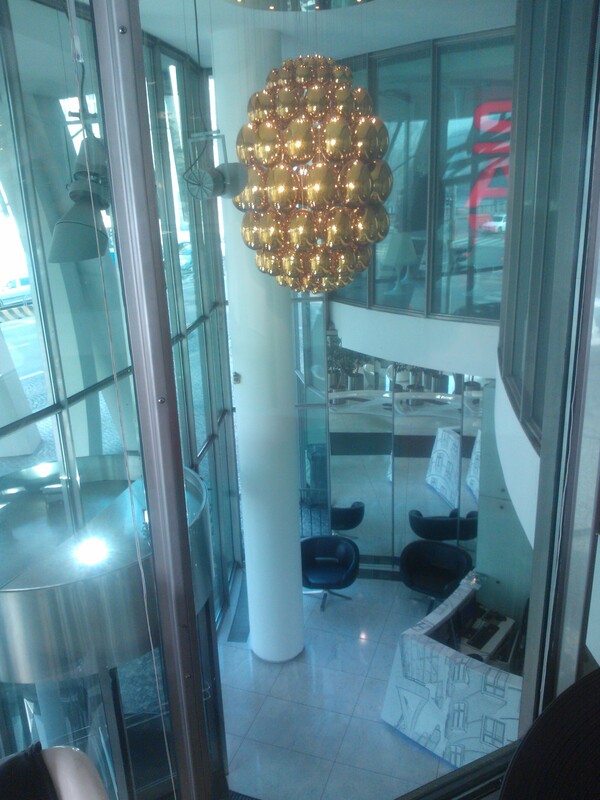 The chandelier is pretty cool but I am most impressed by the photo of the Dancing House. Reflections in the chandelier pieces enhance the pics. 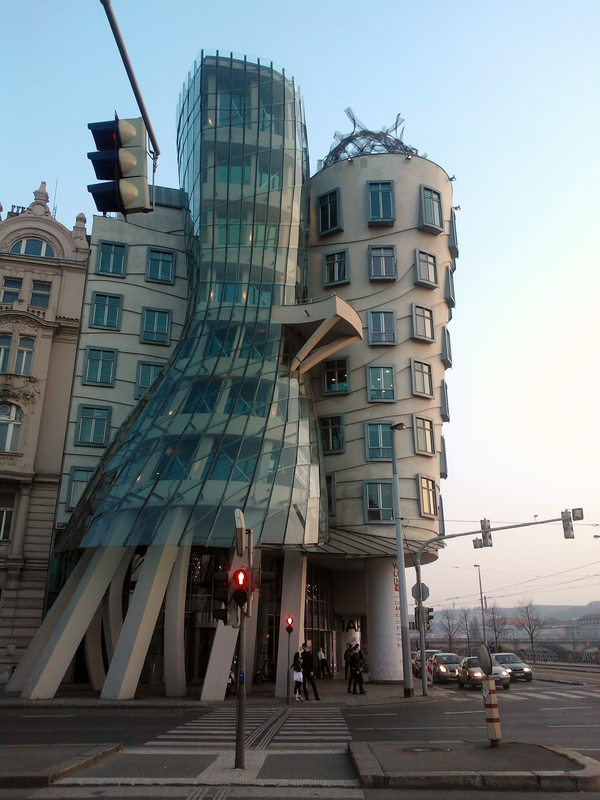 Really unique-looking building in Prague. thanx for sharing these. I know, right? :-D Thank you! Yes, Definitely do next time. :-) Have a great day. Cheers!